Emerge from the shadows and shine bright. with complete honesty and NO BS! The OMEGA PROJECT collects all of the dreams + endless to-do lists you've been battling and transforms them into a trackable plan to help you conquer your daily, weekly, monthly, quarterly and annual goals using lunar logistics. 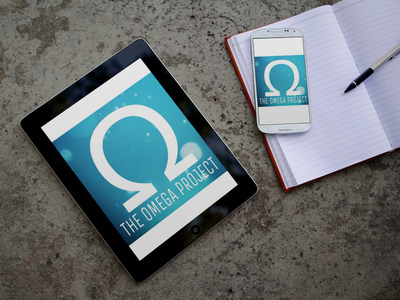 START THE OMEGA PROJECT NOW! With QUARTZ + COAL, you will identify the unique personality of your business or creative passion project. Our in house designers offer the ultimate experience to create a magickal brand with a one-of-a-kind, exclusive aesthetic customized to match your dream design. It takes a special process to brand a business capable of growing from a start-up side hustle into a successful full-time career. Bewitched Branding offers packages built with your personalized branding board, your favorite social media content management tools, and your own custom logo adapted to endless creations including (but not limited to) avatars, banners, business cards, signage, packaging, stickers, postcards, posters, website headers, advertisements and more! MARKETING MAGICK helps you show up and share your magick with the clients + customers you want to work with every day. Marketing Magick will teach you how to effortlessly create content to stay on top of all of your promotional platforms with a specialized plan to help you manage social media, email marketing, blogging, sales funnels and more! Shadow work is the ideal place to start truly aligning with your dreams and syncing up with your natural cycles. Highs + lows in energy levels are NORMAL. Nothing blooms all year, including you. Shadow work is your path through personal growth + mindset milestones towards the light. It's the prequel to deeper meditation, abundance and radiance. Going within through journaling, art + talk therapy and meditation with QUARTZ + COAL is the beginning. Using a combination of these elements, plus an assortment of bewitching practices while seeking inner peace through shadow work steadily illuminates more sacred space for healing + internal growth. All of these activities and more are scheduled according to the moon phases to work with nature and preexisting cycles to coordinate your goals + plans with the bigger cosmic picture.